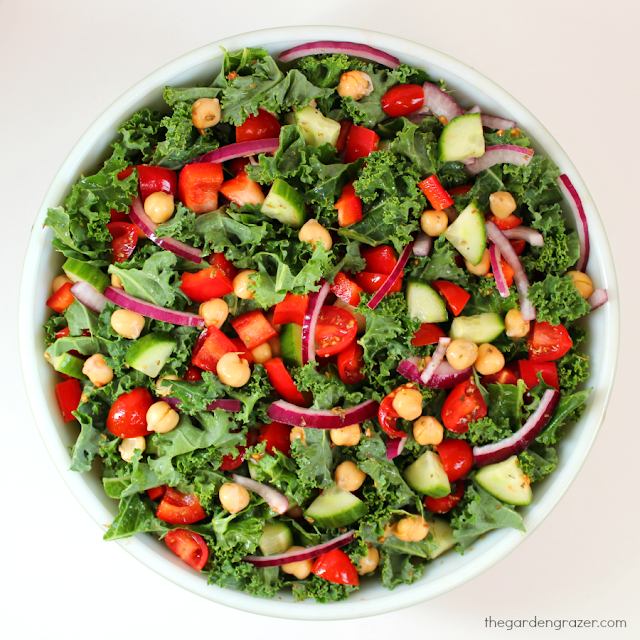 This easy 9-ingredient loaded Kale Greek Salad is bursting with plant goodness! I’m feeling extra grateful for the incredible power of whole foods and vowing to eat even more dark greens this year. This salad feels so hearty, holds up well in the fridge for leftovers, and does great for take-along lunches. Plus there’s a nice protein boost from the chickpeas and you could even sprinkle hemp hearts or other seeds on top as well. The dressing is incredibly simple, yet full of classic Greek flavor – I love the combo of red wine vinegar and lemon juice! 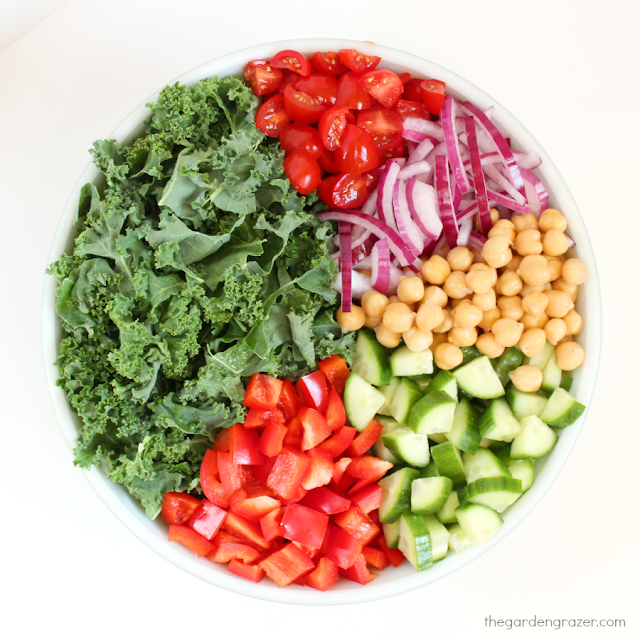 Play around with the salad ingredients too; you could swap out the fresh red pepper for roasted, or add olives, artichokes, tofu feta, etc. Wishing you all the happiest, healthiest new year! Tear kale into small pieces, stems removed. Add to a large bowl and lightly massage. In a small bowl, combine dressing ingredients and stir to combine. 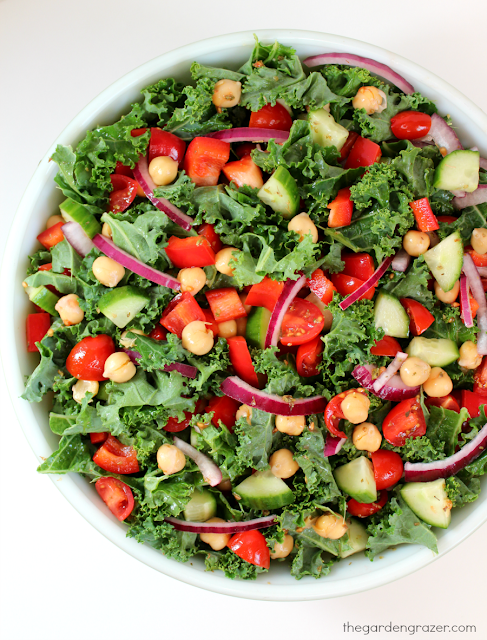 Pour dressing over kale, mix well to combine, and set aside to marinate. Meanwhile, dice cucumber, bell pepper, thinly slice onion, and halve cherry tomatoes. Add to bowl. Rinse and drain beans and add to salad. Toss to combine. Can serve immediately, or refrigerate to let flavors develop even further.